John farms with his wife Maria and children, Brendan, Claire and Helena near Ballylooby, Cahir, Co Tipperary. They have 110 cows on a milk platform of 53 hectares. They also run a beef enterprise. The Walsh family plan to expand to 150 cows in 2018. 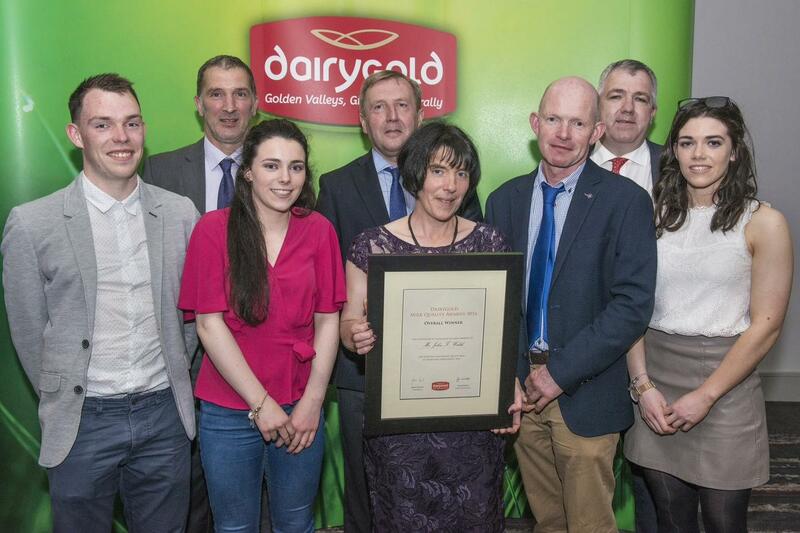 The Awards were based on 2016 milk quality data for all 3,000 Dairygold milk suppliers from across Cork, Limerick, Tipperary and Clare. The judges declared that while all eighteen finalists demonstrated exceptional quality the Walsh farm was an excellent example of what good management and high standards of production can achieve. 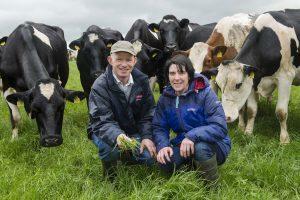 John & Maria Walsh winners of the Dairygold Milk Quality Awards are pictured on their farm at Ballylomasna, Ballylooby, Cahir, Co Tipperary. They have 110 cows on a milk platform of 53 hectares. They also run a beef enterprise. The Walsh family plan to expand to 150 cows in 2018. Photo O’Gorman Photography.